Large animals, like horses and cattle, can be uncomfortable in veterinary clinics and surgical facilities. Part of this unease stems from being enclosed in a smaller area than what they are normally accustomed to, not to mention that their movement and freedom are drastically controlled, depending upon the reason for their visit. When large animals become fearful, they can become dangerous to themselves, their handlers, and veterinarian doctors and staff. As such, the security and safety of large animals and veterinarian staff should be a top priority for all veterinary clinics and surgical centers. 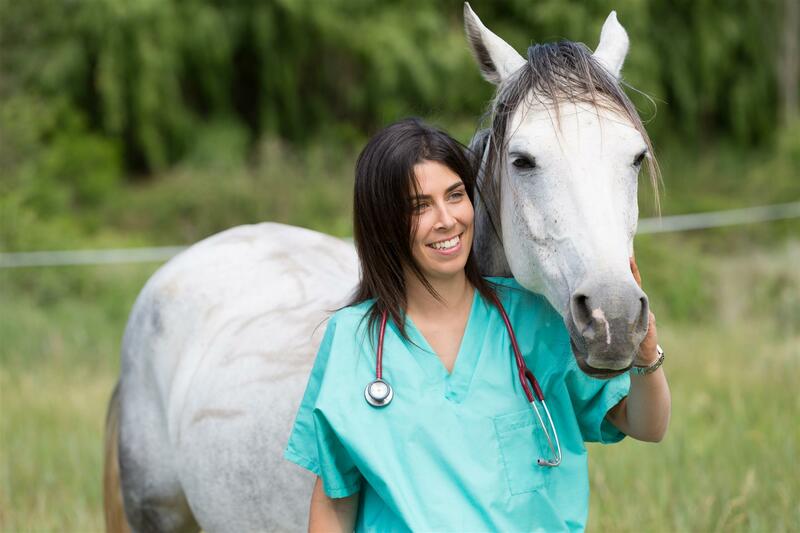 While most equine and large animal vets make site visits to farms and stables, there are times when the animal may need to be brought to a facility for surgery.. Regardless of the environment—whether in a barn, stable or vet’s facility—gate and door hardware need to be safe and prevent harm to the animal. Doors and related hardware should be sized correctly to handle the weight consideration of these larger doors. Additionally they should have no sharp corners, edges, or handles, as well as no unfinished edges where animals could potentially inflict harm upon themselves should they attempt to force the door open. In addition, the door needs to be secured in such a manner to prevent animals from easily opening them. 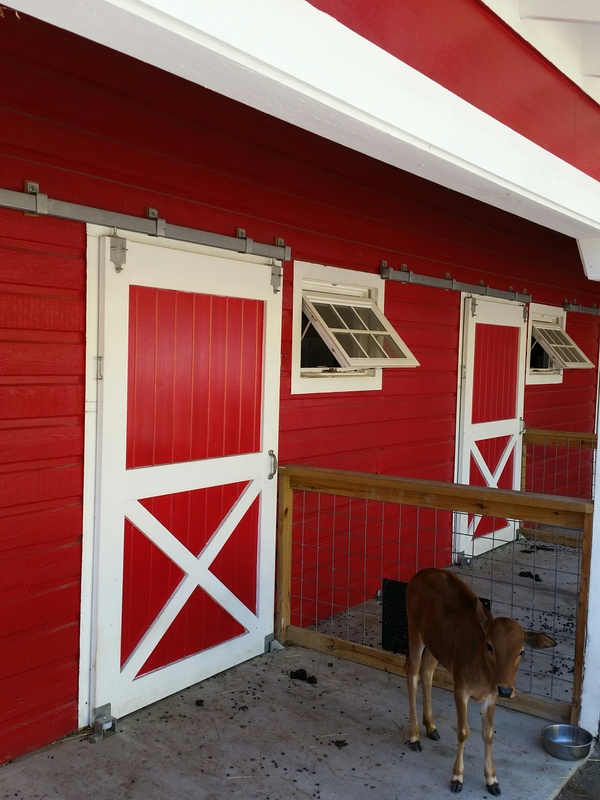 Two types of solutions available for barns, farms, equine stables, and large animal veterinary clinics are sliding door track systems and swinging door hinges. Sliding door systems make it easy to open and close doors, along with the appropriate hardware to secure doors closed. Swinging door hardware allows doors to swing outward and, often, fully open until they are flush with the wall, making it easy to get animals in and out of holding areas or rooms, without the risk of the animals hitting the door. The sliding door track systems and door swing hardware should be made from high-quality materials. The hardware needs to withstand daily exposure to animals and frequent cleaning and disinfection. As such, the finishes need to be corrosive resistant and capable of maintaining their appearance. Ideally, you should look for hardware that incorporates powder coatings and/or stainless steel, as both of these are designed to withstand the cleaning demands and help to keep animals safe. Further, swinging doors systems could include full length doors or Dutch doors, where the top section of the door can be opened independently from the bottom. Split doors are well-suited for larger animals when the owners, veterinarian or staff need to check on the animal but do not want to risk unduly disturbing a recovering animal. 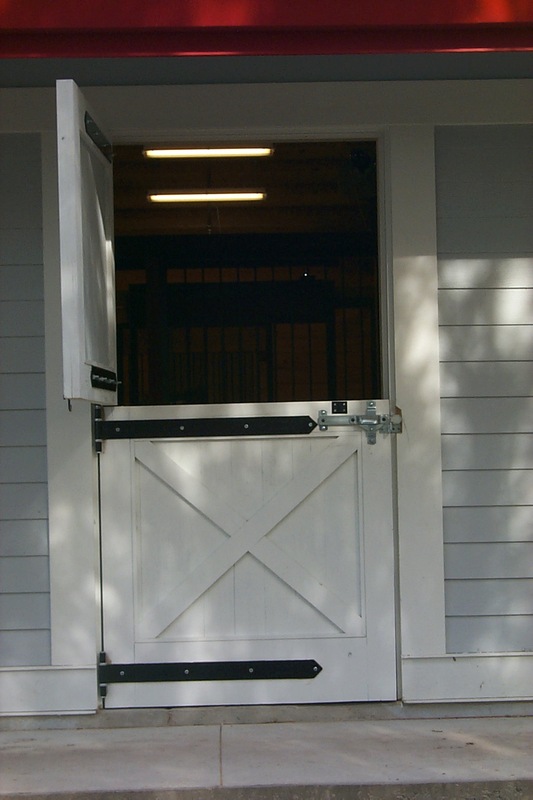 The key is to install hardware for your facility doors that is not only easy to operate, but also durable and strong to provide appropriate animal containment. 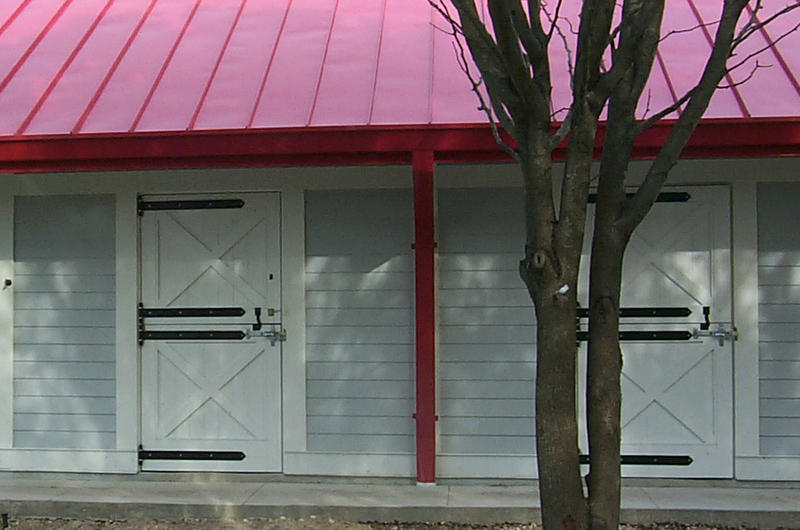 Richards-Wilcox has the perfect solution for specialty veterinary centers, barns, and stables for holding and containment of horses, livestock, and large animals. For more information about specialty sliding door track and swinging door hardware solutions and systems, contact the experts at RW Hardware today by calling 800-253-5668 to speak with a representative. We have been the leading manufacturer and provider of custom design services and hardware and door accessories for equine and large animal veterinary clinics since 1880.